Ask fellow campers about "Croton Point Park" and nearby attractions. Answer: We stayed there last Sept. It was open then and didn't appear to be closing anytime soon. You should try to call them direct if you can't download the website. However, we made a reservation and when we checked in there were 'drive-ups' that got a site without a reservation. It's pretty busy so I would recommend a reservation however you have to make it. Okay, first of all the location is old. Very very very old. It is really really really in a beautiful location. Just amazing. Problem is if you need power ...literally at all, this is not the park for you. This is the worst power you will EVER find at any camp site. WARNING: Were barely getting 25 amps out of a 50 amp circuit. The power spikes are severe. Killed the washer and dryer. Freaked out all electronics. This is in a very beautiful area. You may have to run your generator the entire time here. Power is nearly none functional. Scenic and amazing place to camp, but the power will damage your systems. Sad! We camped at Croton Point Park in a Motorhome. One of the better options when visiting NYC, but I don't plan on returning. The electricity to the campground was intermittent, which posted a big problem on hot days. Most sites are on the small size for a big rig. 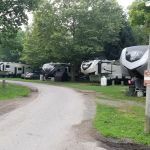 The campsite is in need of renovation and investment. The county Park as a whole is huge and attracts hundreds and hundreds of people on the weekends. The train station is nearby, but probably too far to walk for most folks. The dumpster area is pretty rough. If the fix the electrical problems, I might give them a look again, but I don't see that happening anytime soon. We camped at Croton Point Park in a Motorhome. Bring a bike. Use the train station to visit NYC. Been here several times, each time is worse. I don't plan on returning. County workers everywhere riding around on golf carts, but not doing much. 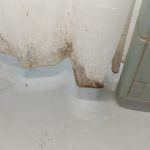 Let's start with the bathrooms: heavy mold on the shower curtains, dead bugs everywhere (because the door doesn't close tight and the lights are on all night). Hair, mud, cigarette butts, empty shampoo bottles litter the restrooms. Windows are covered in cobwebs and dead bugs. I've been here a week so far and have only seen the restrooms cleaned once (they need to be cleaned 2x a day). Hoards of city kids bussed in for summer camp walk up from the tent sites and use the same 3 showers / 3 toilets on weekends. 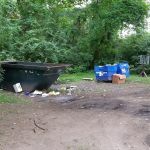 2nd issue: Dumpster stinks and is overflowing most of the time, stray cats everywhere around dumpster. Big sign says "Don't Feed Cats". 3rd issue: Lot's of permanent trailers have been here for years, lots of work trucks, big propane tanks, messy sites. 4th issue: There is a field and hall adjacent to the campground used for family outings/company picnics. Last weekend a large group was there with loud music all day long, and they were playing softball in the field and several balls ended up under my RV and car; I was worried about my rig getting hit. No respect to the campers and kids were running through occupied sites to get water for squirt guns. I didn't drink the tap water because I think it's well water and the campground is adjacent to a huge closed landfill.??? 5th issue: Lots of low branches, the place needs a lot of tree work. All the campers around me have branches scraping their roofs. The Good: Proximity to NYC via train, full hookups, but only 30 amp. Grocery store within a mile. Nice area. We camped at Croton Point Park in a Motorhome. Nice county park, well maintained. Roads are wide and paved. Our site was hard packed gravel, nice level site. We were there early in the season so the transient side of the campground was empty. The other side is various RVs and pull trailers that appear to be year-rounders. It was quiet during our stay. Verizon and T-Mobile worked fine here. Price reflects a one week stay. Bathrooms were closed during our stay. They don't provide fire pits but you can bring your own. Customer service in making reservations and checking in left a lot to be desired but it's a county park. They DO recycle here despite what we were told when we asked that specific question - not only separate bins at the park but the grocery store down the road takes cans and bottles. You'd think that, especially since there's a massive landfill capped off at this county park, employees would have an awareness of recycling? Only a couple minor drawbacks: Something was up with our electric pole as over voltage caused our surge protector to trip several times a day. If you live here, you probably get used to the trains running day and night. We didn't during our week's stay. Nice paths to walk around the park and along the river. Lots of people fishing and out enjoying the day use areas during our stay. We camped at Croton Point Park in a Motorhome. Great location if you are wanting to visit nyc or the Hudson valley. The park is located right on the croton Harmon train line, which is very regularly serviced by both express & all stops trains. We found getting a long term reservation a bit tricky, and so just booked for two weeks at a time. On that note some staff are very helpful, others not so. The entry to the park can get a little busy on weekends or other holiday times. Lots of open space, waterfront and places to walk. It did used to be a tip though, so the grassy mounds aren't hills. Seemed to be about half the park either perm or seasonal residents. They do need to get the bin for trash and recycling emptied a little more frequently as was often overflowing. The power was only 30amp, otherwise the utilities were very reliable. AT&T plus Verizon both worked well. On Site 13 the rear faces the restrooms, and people often cut through your site which we find a bit rude. Can be a bit sloppy going on the dirt roads in the campsite ring road when it rains. We camped at Croton Point Park in a Motorhome. 1.5 miles to the train station to NYC. An hour north of NYC. Camp ground has more 'full timers' than transient; people say they are workers on the new Tarrytown Bridge. Nice grounds but the roads in the RV campground lack maintenance. We camped at Croton Point Park in a Motorhome. On the Hudson River. West Point is across the river and up the road. Shopping and public transit close by. If you need a dog kennel: Grace Lane Kennels (the oldest kennel in the US) is about 8 miles away and one of the best kennels we have ever boarded our dogs at. We stayed here for 8 nights at 55 bucks a night...spendy for the lack of amenities at this county park. There is no cable tv and no wifi. I was mostly unable to get a Verizon signal. Park staff were not friendly or helpful. Electric is 30 amp only and we flipped the breaker if we used the microwave while using the AC. If you stay here, get familiar with the location of your sites breaker box (our neighbors showed us where it was). On the plus side, sites are very spacious and everyone staying here was friendly. We chose this park so we could visit the city. We walked to the Metro North train station (it is 1.7 miles) and visited NYC for 5 days. If we wanted to visit the city again, we would stay at this park. If not, we would not return. We camped at Croton Point Park in a Fifth Wheel. Green and Grain is a terrific little market; it's next to the Croton Post Office. The laundromat in the Shop Rite center is excellent. This is primarily a long-term or full-timer's park. There are few staying here overnight or on vacation. There is no presence by park personnel in the RV area; it is far from the park office. The sites are fine, nicely wooded, with good room between. SAT reception is a no-go unless you have a portable unit. Water pipe is insulated. I felt like I was a stranger in someone's neighborhood the whole time I was here, for five days. $50 is pretty steep for zero amenities. I stayed here mainly because of its close proximity to the commuter rail station, which is too far to walk to. It's definitely a drive or bicycle ride. We camped at Croton Point Park in a Motorhome. The park is close to a number of historic attractions, including Sleep Hollow (yes, the one from the story), and many famous estates on the Hudson River. Excellent location for train to New York City. Croton station it's just outside the park entrance. I would recommend walking, biking or taxi to the station as the parking is $10 per day and you have to renew at midnight or face a ticket. For only daily parking it works very well. The park is delightful but expensive as is everything in the NYC area. Swimming beaches, fishing or just watching the Hudson. We wished we had reserved for longer and would stay again. We camped at Croton Point Park in a Fifth Wheel. A nice county owned park. Roads are narrow but ok. Back in sites can be challenging. 1/2 of the park is construction workers, but they are very friendly. Train station 2 miles away. The train goes right into city. We camped at Croton Point Park in a Travel Trailer. Let me start by saying that the reservation-making process was very frustrating.....it took numerous calls to actually "make" a reservation, and I never could get an email confirmation (although they claimed to have sent me one). The day of arrival came, and we found that there is no place to pull your rig over by the office to check in. (We have a 40 foot MH and toad.....we were told just to "park anywhere".) We were assigned a site, and off we went , only to find that our assigned site was occupied. Another camper nearby said the same thing happened to them, so he just took another available site. Ater much wrangling, we were able to find a site. That being said, the campground itself is very nice. The sites are among trees,and are not too cramped. It is a very pretty escape for people from NYC on the weekends, and they came in droves to the beach area. There are RV sites, cabins and tent sites. We would probably NOT return here, not due to the hassles, but more that it is a longer drive than we liked to visit family and friends upstate. We camped at Croton Point Park in a Motorhome. Croton Point happily took our reservation months in advance, knowing the exact date we would be arriving (April 1). They proceeded to only tell us 24 hours in advance after a cross country road trip that they weren't sure if they would open on time due to weather issues. I was aware that winter weather in the north east could be an issue so that wasn't the big deal here. The bigger issue that was when we arrived, the campsite was 1/3rd full with full-timers that had been there all winter. If you aren't going to open on time that's one thing, but if you already have people on-site ... you're open. When they assigned us our spot after guaranteeing a LONG pull through site for our RV and trailer behind it, they finally admitted they have no pull-throughs at all and gave us one without a working water spout. The excuse being that our site wasn't winterized so they had removed it for the winter season. We were surrounded by empty sites at the back of the camp ground that had water available, but they gave us THE one that didn't. They denied me the chance to move to another site, as they were 'all booked'. In the entire time we were there, no one else showed up anywhere on the back 3 rows of spots. 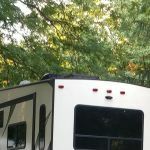 After our first few nights in the campground, they told me I was not allowed to use all of my hoses to reach another water head, fill my fresh water tank and then disconnect every few days - which is exactly what their grounds keepers told me to do. They then also decided that an adjustment in the rules meant that I had to pay for 2 spots, since my RV was towing a trailer. Once the 2 week in 2 week out rule came to light, which they also failed to mention in any of the months leading up to our trip, we decided we were done with the place. And WiFi? Yes they have it... at the front office building which is a 5 minute drive from the RV park area, with the small parking lot you can not loiter in. That's it. We ended up heading to the public library a few miles away. We camped at Croton Point Park in a Motorhome. No wifi in park, so plan on using the local library. Sites are on grass with gravel. FHU, 30 amp, back in & shaded. No cable but TV on antenna & we got satellite. Picnic Table. Pool closed. Beach swimming. No WiFi. Permanent sites & day workers. But for the most part neat. Good Verizon signal. No dog run but plenty of places to walk. Playground. We camped at Croton Point Park in a Fifth Wheel. Metro station less than a mile away. Shopping close. Lots of hiking trails. This is a great place to stay in an RV to visit NYC. The campground is quiet and clean. We did not swim, but it said you can only swim while lifeguards are on duty and we never saw them on duty. The only draw back is the walk to the train station. It is a 1 1/2 mile walk mainly through the park to the train station which doesn't seem too bad except it was July and very hot and humid. Especially after walking in NYC all day it was a hard walk home. If we go back I would probably call a cab to take us from the station to the campground. When you ride the train into NYC it is about 45 min and takes you into Grand Central Station. It is a great alternative to driving! The campground has full hookups, but no wifi or cable. Not an issue when you're gone all day. We did get many channels over the air using our antenna. Overall a great, quiet place to stay while visiting NYC. We camped at Croton Point Park in a Motorhome. City Owned, well run and well maintained. We camped at Croton Point Park in a Motorhome. Walk the trail around to the marina to Croton Landing. The gates that you see by Half-Moon development look like but are open. Are you affiliated with Croton Point Park ?